Chancellor Kumble Subbaswamy at UMass Amherst’s new Mount Ida campus in Newton. Rick Kelleher is a big, white-haired, crisply presented man who looks very much the way you’d expect a Boston Irish power broker to look. If you found yourself sitting next to him on a plane, you might notice how he kept the conversation flowing naturally and emphasized his points with the physicality of a great salesman, dramatically raising his eyebrows and cocking his head. On this morning, Kelleher is seated at a back table in the lobby restaurant of the elegant Boston Harbor Hotel, where the server knows exactly how he likes his house-smoked salmon. He carries himself as if he owns the place, and, in a way, he does. Sitting across the table is a man who is also in his late 60s but who cuts a very different figure. Kumble Subbaswamy — unassuming, of slight build, with dark hair and a dark complexion — is a native of India who was trained as a physicist. Subbaswamy speaks softly and always politely, occasionally threading his sentences with words like “twas” and “thereafter” that reveal the British influences of his schooling. There are clues explaining the bond between the two men, but they are subtle: the lapel pin on Kelleher’s blazer, the maroon tie accompanying Subbaswamy’s navy suit. A much less subtle clue is outside the hotel: the maroon banner hanging from the Rowes Wharf grand archway. Kelleher had the University of Massachusetts Amherst football banner hung to welcome Subbaswamy, the chancellor of the state university’s flagship campus, for their breakfast meeting. But as a 1973 UMass grad, Kelleher admits he also did it because he knew that seeing his Minutemen pride swaying in the wind would bug his friends who graduated from Boston College, the more traditional maroon path for Boston power brokers. Kelleher, who grew up in a working-class family in Arlington, truly found himself in college. “I met my wife, Nancy, in a parking lot on the UMass campus at the end of my freshman year. We were married during my sophomore year. Guess what?” he says, sending his eyebrows north and his head east. “My grades went up!” He majored in hotel administration and never looked back. 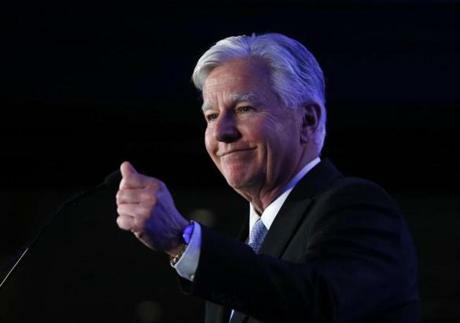 He went on to become a remarkably successful hotel executive, helping to open the Boston Harbor Hotel before running a host of brands including DoubleTree, Guest Quarters, and Embassy Suites. Today he is CEO of Pyramid Hotel Group, which owns or manages about a hundred properties, including his baby on Rowes Wharf. “Remember where you came from, pal” is his motto. When it comes to UMass, he lives it. Kelleher helped lead the first real capital campaign in UMass’s history as president of the UMass Amherst Foundation board. It began with a goal of $300 million and ended several months early, in 2016, after raising $379 million. It was so successful that Subbaswamy asked to meet with his rainmaker alum on this September morning to discuss starting a new, far more ambitious campaign as part of his crusade to transform the flagship campus. Subbaswamy moved to Massachusetts in 2012 to become chancellor, after previous posts at the University of Kentucky, the University of Miami, and Indiana University. Things were rocky at the Amherst campus, which had cycled through four chancellors in a decade. Subbaswamy was shocked to discover that UMass had a stronger reputation in other states — and even among scientist friends back in India — than it did in Massachusetts. It would take him some time to understand how it has lived perpetually in the shadow of Greater Boston’s cup-runneth-over concentration of elite private colleges. Now in his seventh year, Subbaswamy — who goes by the nickname “Swamy” — has steadied and refocused the place. 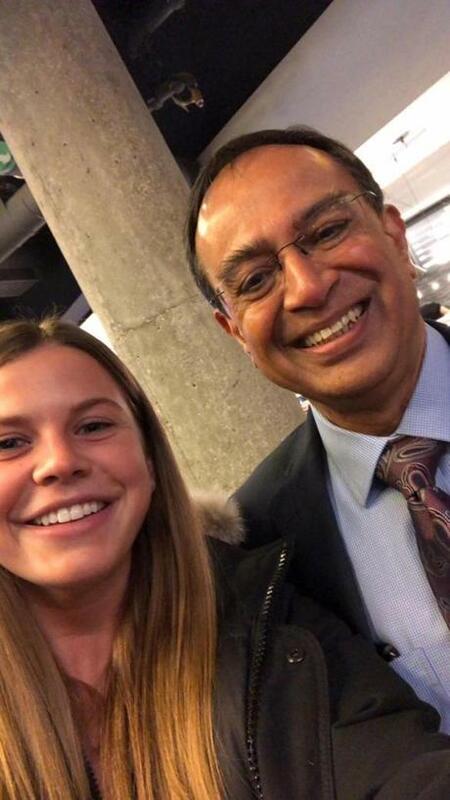 He has morphed into such an unlikely campus celebrity that getting a “selfie with Swamy” has become a standard entry on the bucket list for graduating seniors. 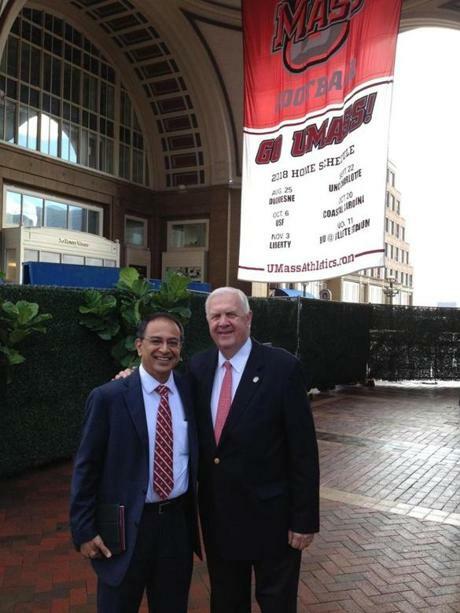 UMass alum and hotel executive Rick Kelleher had the UMass Amherst football banner hung outside the Boston Harbor Hotel recently to welcome Kumble Subbaswamy for a breakfast meeting. He is happy to pepper Kelleher with data points demonstrating the progress the university has already made on his watch: climbing to 26th place in the U.S. News & World Report ranking of top public colleges and universities (up from 42nd); attracting nearly 42,000 applications (up from about 34,000); boosting the average scores of entering students (SATs of 1296, up from 1197; grade point average of 3.9, up from 3.66) and their diversity (32 percent students of color, up from about 21 percent); and hiking the overall graduation rate (80 percent, up from 70 percent). He makes it clear he won’t be satisfied until UMass cracks the top 20. Getting there will require moving past public heavyweights — think the University of Connecticut, the University of Maryland, and Penn State — though it’s hard to imagine UMass ever surpassing the perennial chart-topping flagships in California, North Carolina, and Michigan. Because UMass sits in the western part of a state dominated by eastern private colleges, it has struggled to get on the radar of the Bay State’s power structure. Subbaswamy now spends a day or two a week in Boston trying to change that. He regularly reminds business and government leaders that his institution, with its 30,000 students (22,000 of them undergrads), is the chief trainer of the state’s workforce. Each year, it educates more Massachusetts residents than the combined total of the state’s top eight private colleges. Moreover, in their effort to promote geographic diversity, those top private colleges are enrolling about 70 percent fewer Massachusetts students than they did in the mid-1980s. In other words, UMass matters a lot more, to more of the state, than most people realize. Still, there are different implications when the state’s flagship public university becomes less accessible. For starters, there are lots of parents who are dumbfounded — and furious — when their kids get rejection letters from UMass. After all, they grew up when the place was known as “ZooMass,” a safety school more associated with call-the-cops ragers than academic rigor. More important: How many unpolished applicants with high upsides might this pickier UMass be turning away? People like a young, rough-around-the-edges Rick Kelleher, whom UMass took a chance on a half-century ago and who has never stopped repaying the favor, pal. I can’t resist asking them both: Is that a good thing? Inside the refined boardroom of the baronial English manor house known as Shaw Hall, 11 portraits hang on the wall. The men — and a few women — in this gallery helped guide the college, as either trustees or presidents, during its nearly 120-year history. They were from different periods, and they surely had different opinions about the direction the college should take. But there can be no doubt that they would all be in agreement in mourning the ignominious end to their beloved Mount Ida College. Also not in doubt: Before long, many more colleges will suffer the same fate. Surrounded by the portraits, Subbaswamy is addressing a group of business executives from the Newton area, asking them to start thinking about UMass Amherst students when hiring interns and staff. He has also come on this November afternoon to brief them on his evolving plans for the Mount Ida campus. 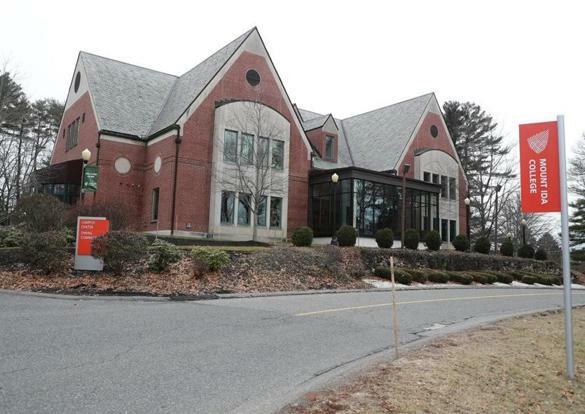 UMass Amherst bought the campus in Newton after Mount Ida, a small college drowning in debt, suddenly shuttered last spring. The university was interested in Mount Ida as a real estate play: 74 acres of valuable Newton land, which it snatched up for $75 million. 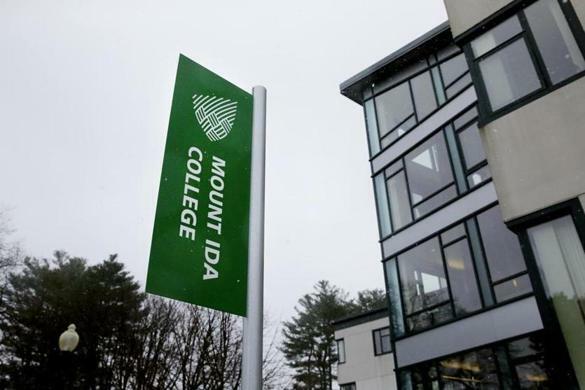 The out-of-nowhere deal outraged students and faculty at Mount Ida, who felt left in the lurch. It also infuriated students and faculty at UMass Boston, Amherst’s financially struggling counterpart in Dorchester, which was undergoing yet another round of bloodletting. UMass Amherst had no direct hand in the misfortune (or malfeasance) that created both of those crises. Still, the optics — a well-heeled operator showing up at a fire, muscling past all the displaced people, and peeling off a few bills from a wad of cash to get something it wanted — could hardly have been worse. At the time, UMass Amherst offered vague plans to house undergrads on the campus so they could land internships in the Boston area. But in comparison to the hurt the many displaced parties were feeling, that idea sounded trivial. In fact, as I would learn during the months I spent with Subbaswamy, the Mount Ida acquisition is the fulfillment of a key goal he’s had for transforming the Amherst campus almost from the day he arrived. The more proactive of these vulnerable institutions will work to be absorbed by a large, heavily endowed institution, as Wheelock College was by Boston University. Many others will probably go the way of Mount Ida and, more recently, Newbury College in Brookline: hastily shutting down before basically being sold for real estate parts. The college landscape, he tells the group, promises to grow only more punishing. By the middle of the next decade, there will be a demographic “cliff” of college-age students, thanks to a sharp drop in births following the 2008 recession. 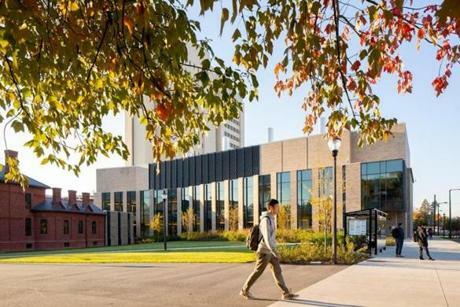 Meanwhile, more flagship public universities in other parts of the country are stepping up their recruitment of Massachusetts students, who are especially attractive because of the quality of the K-12 education and the comparatively high family incomes here. The elite colleges with hefty endowments should be fine, since supply and demand will likely continue to work in their favor. Subbaswamy is betting that big public universities like his will also be well positioned because of their scale and value proposition compared with private colleges, particularly if they can demonstrate improved quality. “The popularity of UMass and the price point is such that we’re getting tremendous talent applying to the school,” he says. 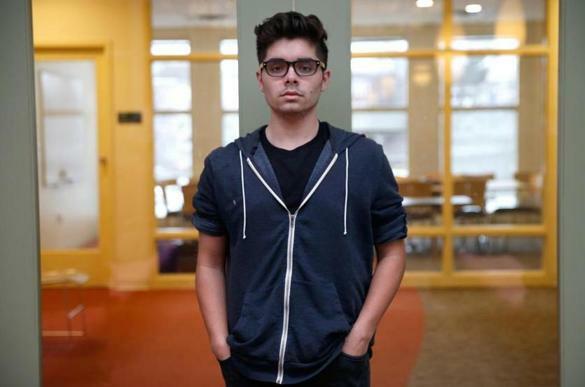 The acceptance rate for UMass Amherst hasn’t changed much — it’s 60 percent, down just a couple of points from when he arrived. But the pool has grown stronger. UMass is now attracting many more students who have the credentials to get into selective private colleges but go public because their families make too much money to qualify for significant financial aid, yet not enough to cover private tuition without signing on for lots of loans. UMass isn’t cheap — about $30,000 per year for in-state tuition, fees, and room and board — but that is less than half of the going rate at most privates. To thrive in the future, Subbaswamy tells the group, universities must ensure quality, leverage their scale, and go from providing a four-year transactional relationship to becoming a partner that students will turn to — in person, online, or both — at any point in their lives when they need new skills or credentials. “We feel that the Newton campus has a major role to play for our students who right now are unfortunately outside of where all the action is happening,” he says. So having a presence in the humming east will allow UMass students to spend a semester or two in the Mount Ida dorms, pursuing the internships they need to graduate with work experience. Yet undergraduate internships are just one part of his vision for Mount Ida. Subbaswamy also plans to use the new campus to foster that lifelong partnership with alumni. Since so many UMass Amherst grads live where the jobs are, in metro Boston, he wants them to think of their alma mater when they need graduate work, “upskilling,” or executive training, whether they end up taking these courses in person in Newton or online. He hasn’t spoken much publicly about the last part of his plan for Mount Ida, but it’s the component he gets the most excited about. He wants to use the campus as a tool to recruit rising-star faculty who have the potential to leave their mark in the life sciences and technology fields — and can bring in large grants — but who are too attracted to the vibrant scene radiating from MIT in Cambridge to consider moving to Western Massachusetts. At Mount Ida, he’ll be able to offer them a home base, which he also envisions becoming a space where mentors can coach startups. And these star researchers and practitioners will be able to teach their classes in the Boston area while beaming them back to Amherst — and beyond. Tilman Wolf, a professor of electrical and computer engineering, teaches a class of graduate students in Shanghai from a new studio on the UMass Amherst campus. That explains the fast broadband connection that UMass is installing to connect Newton to Amherst, where the $150 million Institute for Applied Life Sciences, or IALS, is already fostering ties between industry and researchers, as is the big-data-focused Center for Data Science. It’s all part of Subbaswamy’s hope to turn UMass into “Cambridge West.” He tells me that several years ago he looked into opening a UMass storefront in MIT’s backyard of Kendall Square, but he realized that wouldn’t do enough. He thinks he’s found the answer through the combination of IALS in Amherst and the Mount Ida location in Newton. Although MIT is private and UMass is public, they were both founded as land-grant colleges during the Civil War. States received federal territory to build colleges designed to adapt to the needs of the Industrial Revolution, teaching the masses the latest in technology and agriculture. MIT took on tech while Massachusetts Agricultural College opened in Amherst. “Mass Aggie” became Massachusetts State College in 1931 and then UMass in 1947. It opened a branch in Boston in 1965 and a medical college in Worcester in 1968. The current UMass system of five independently run campuses dates to 1991, when Lowell and Dartmouth joined. Subbaswamy is also betting the Mount Ida campus will help him break down the barriers between online and in-person education. The UMass faculty union just signed off on a deal for online classes, which will be branded as part of the “University Without Walls,” dusting off a name that UMass trademarked for a degree completion program launched in 1972. The agreement will allow UMass faculty to own the intellectual property of their course content while allowing the university to boast that its online classes carry the same seal of quality as the in-person versions. But it will take new technology and considerable faculty training to make sure the reality lives up to the hype. This work is underway in two spots on the Amherst campus. In the basement of one building is a newly built studio where instructors teach interactive courses to graduate students in Shanghai. An electronic dashboard shows the instructor the names of each student, and a screen projects a live image inside the classroom. When the instructor writes on the whiteboard in the studio, it automatically appears on the screen in the Shanghai classroom. Across campus is the brand-new Feinberg Innovation Space, a tricked-out classroom for the Alexa age. UMass alum Ken Feinberg — the all-star mediator who served as special master for the September 11th Victim Compensation Fund and pretty much every disaster since then — donated the money to set up the classroom. He had grown frustrated with the lousy technology when he remotely co-taught a course for the Amherst campus. An IT staffer excitedly gives Subbaswamy and me a demonstration of the new Feinberg space, from the facial-recognition cameras that automatically track the movement of the instructor at the front of the classroom to the sophisticated microphones that know to pick up even whispering at the front of the room but tune out the sound of rustling papers in the back. After the demonstration, we walk to an adjoining space where we can see, through a window, a large, traditional lecture hall. As the instructor swaps out transparent slides from an overhead projector/document camera, it’s clear that many of the students have tuned him out in favor of swiping on their phones. Any purists who argue that online classes are by definition degrading the college experience must first address the autopilot nature of too many traditional college lectures like this one. Our exuberant IT tour guide points out that anything happening in the new Feinberg space can easily be broadcast to this adjoining old-fashioned lecture hall. The long-term plan, he says, is to be able to beam it to anywhere else on campus, and then anywhere else in the world. In 1971, Subbaswamy moved from India to Bloomington, Indiana, to work on his doctorate in physics at Indiana University. He didn’t know a soul, and it was all but impossible to call home to India. He stayed in his room for most of the first month, wondering what he had gotten himself into. In time, he figured out how to survive and then how to thrive, eventually leading the effort to form a union for grad students. It took a lot to please Dad. The combination of determination and diplomacy that Subbaswamy relied on in his dealings with his late father defines his leadership style to this day. They’re not obvious in the way they are with a traditional extrovert like Meehan. On a visit they make to the dimly lighted office of the Massachusetts speaker of the House, which is crammed with old portraits of old men with mutton chops, Meehan effortlessly talks hockey with Speaker Bob DeLeo. Marty Meehan, the president of the UMass system, first met Subbaswamy when they were fellow chancellors — Meehan at the Lowell campus. DeLeo eventually brings Subbaswamy into the hockey talk, remembering how he called the chancellor late one night in mock outrage after the UMass squad shut out Northeastern, the speaker’s alma mater. Subbaswamy laughs, recalling his confusion at seeing “Speaker DeLeo” on his caller ID after 10 p.m. and thinking, What’s going on? Meehan makes the case that as the Amherst campus’s reputation goes up, UMass’s campuses in Lowell, Dartmouth, and Boston benefit by association. He says they’re trying to develop a process whereby any applicants who don’t get admitted to the flagship would be automatically directed to one of the other campuses. Subbaswamy joins in the laugh but soldiers on with his point that each entering class at Northeastern has about 550 Massachusetts residents, compared to about 3,400 at UMass Amherst. Neither a backslapper nor a stirring orator, Subbaswamy operates on data and strategy. Still, he is so friendly and comes across as so genuine in his commitment that he can’t help but win people over. He’s like the super-smart kid from high school whom even the jocks liked. Subbaswamy’s current contract will keep him in the job at least until 2022. In 2017, he received $563,000 in total compensation, which, according to The Chronicle of Higher Education, puts him slightly above the middle of the pack for public college heads around the country. Getting a “selfie with Swamy” is now part of the UMass senior bucket list. Here he poses with Anna Nilsson in the Campus Center. As soon we enter Amherst’s lavishly praised (and legitimately excellent) Campus Center dining hall on a December afternoon, a senior by the name of Anna Nilsson sprints toward Subbaswamy. After he warmly indulges her selfie request, two of her friends come over to get theirs. Nilsson grew up in Lexington and initially wasn’t interested in UMass because so many kids from her high school went there. But with two older siblings in college, it quickly turned into her first choice because of cost. She was crushed when she wasn’t accepted for regular admission and was instead wait-listed. She got into Syracuse and Quinnipiac universities and thought she would go to Syracuse, until she realized how much debt she would need to take on. She ended up accepting UMass’s offer of January admission and worked full time near home that fall when her friends were starting college. A public health major, she believes UMass’s reputation has only become stronger since she’s been on campus. Several people she knows from Lexington who applied for this year’s freshmen class didn’t get in. At competitive suburban high schools around the state, many students who would have been accepted to UMass Amherst a decade ago are now wait-listed or even rejected as the campus attracts higher academic performers. Hirsch, whose older daughter is a senior at UMass, says most of her students these days understand how much more selective the school has become. “But it can be a real wake-up call for many parents,” she says, especially if their idea of the place is fixed in the ’70s. One UMass alum whose son was struggling in high school told Hirsch everything would be fine “as long as he can get into UMass.” Hirsch showed the woman the average scores of successful UMass applicants from Arlington in recent years. “It was a real shocker for her.” He did not get in. Critics, however, argue that Subbaswamy’s focus on diversity and facilities obscures what should be the university’s core mission. “Ever since I first came to UMass, every single chancellor has announced that his aim was to make the university a premier institution,” says Daphne Patai, a professor of Spanish and Portuguese studies who retired in 2017 after four decades at UMass. “I do, however, think it would be nice if the university’s profile rose because of academic quality rather than proclamations of commitment to diversity, ‘fighting hate,’ or the existence of excellent dining halls.” (Patai is a longtime critic of college diversity initiatives around the country, arguing they can have a chilling effect on free speech.) She also bemoans the university’s administrative bloat. On Subbaswamy’s watch, positions coded as “management occupations” on the Amherst campus grew 14 percent, according to UMass figures. (Figures from the Pioneer Institute, a Boston think tank and frequent critic of the UMass system, suggest a bigger jump.) I will say this: During my time with Subbaswamy, I lost count of all the vice chancellors and associate vice chancellors and senior vice provosts and associate provosts and assistant provosts I encountered. And I heard several of those deputies eagerly update him on the hiring they were in the midst of doing. Again, though, none of this is unique to UMass. Affordability is clearly one of UMass’s chief calling cards. Yet the Pioneer Institute contends that the financial burden on students and their families would be less if the overall system were more responsible in controlling costs, especially when adding administrators and buildings. In reality, UMass is affordable only in comparison to the insanely high rack rate at most privates. Massachusetts has found itself in the top 10 of a list it shouldn’t want to be anywhere near: the states that charge the highest average tuition and fees for in-state students. Pioneer argues that, in the university’s effort to raise its profile and bring in more revenue through out-of-state students, UMass Amherst is shortchanging residents. A 2018 institute report found that out-of-state students were being admitted with lower average GPAs and standardized test scores than in-state students. The differences were quite modest. Yet Mary Connaughton, the report’s lead author and a proud UMass Amherst alumna, tells me there’s no justification for Massachusetts residents to be facing any disadvantage in admissions. Until two years ago, there was a double incentive for UMass to enroll more out-of-state students: Not only was the out-of-state tuition much higher, but the university could hang on to all of it, while it had to send in-state tuition revenue to the state’s general fund and wait for the Legislature to return it through a budget line item. This situation led to talk that UMass was stocking its campus with less-than-stellar “New Jersey party boys” and “Long Island slackers.” But since 2016, all tuition revenue remains on campus. In fairness, pretty much every other big public university in the country has been aggressively recruiting out-of-state students, especially since the 2008 recession. The Pioneer Institute urges the state to cap UMass’s out-of-state enrollment at 18 percent, following the lead of the University of North Carolina at Chapel Hill and, since 2017, the top University of California schools. However, North Carolina fined UNC for exceeding that cap in back-to-back years. At UMass Amherst, out-of-state students account for 30 percent of this year’s freshman class. Meanwhile, the University of Michigan for the first time enrolled just about half of its students from out of state. If UMass dramatically reduced its percentage of out-of-state students, it would need to make up that money somehow. Subbaswamy tells me that the net premium UMass gets from out-of-state tuition, even after offering discounts, is about $40 million a year. That’s about half the amount the university currently pays in debt service needed to fund all the campus’s beautiful new buildings. Upgrades to the Amherst campus include construction of the Physical Sciences building and renovation of the brick West Experiment Station. “Be Revolutionary” is the slogan that Subbaswamy and his team chose for the flagship campus’s strategic plan. The phrase looks good on the cover of a brochure, but it doesn’t quite capture what seems to be happening at UMass. A truly revolutionary university designed for the needs of the 21st century would boldly jettison all the excesses and sacred cows that have made the higher ed system way too costly, ossified, and tolerant of corrosive forces like profit-driven football and basketball programs masquerading as collegiate wholesomeness. It would embrace the academic freedom and risk-taking that made American colleges the envy of the world, but it would also be lean, nimble, relevant, forward-looking, and impervious to distortions like grade inflation and TV rights and U.S. News. Most of all, it would be 100 percent affordable — a powerful engine for closing, rather than reinforcing, the nation’s yawning economic and opportunity divides. However, it would be impossible for an individual college leader to mount a successful revolution like that when the incentives are aligned to reward legacy admissions, easy A’s, administrative expansion, professional-in-all-but-name athletic programs, and active participation in an arms race to offer the best amenities. Subbaswamy appears to be less a revolutionary than an incredibly passionate, improvement-driven institutionalist. Harnessing his analytical strength as a scientist, he determined what appeared to be holding UMass back most: a collective low self-esteem fueled in part by neglect of the cold, Brutalist physical plant and neglect by the Boston power structure. And he set about creating momentum: new buildings, new initiatives, and more rigorous admission standards. Rather than inventing a new model, he is importing what has worked elsewhere, like MIT’s approach for encouraging up-and-coming academics to work with industry to translate their discoveries. All of these moves, Subbaswamy knows, are the kinds of levers that can help amplify the image of UMass as a campus on the move, ratified by the biggest amplifier of them all, the U.S. News rankings. Anyone who looks closely at those rankings knows that they are built on questionable calculations. After all, despite UMass’s aggressive touting of its climb to the 26th place on the list, it was actually in a four-way tie for that slot. There are ties up and down the U.S. News list. But by focusing the institution on improving the undergraduate education experience first and foremost, Subbaswamy has been able to lead UMass in a way that does more than just impress the people doing the rankings. It also makes students like Anna Nilsson, who were initially lukewarm about UMass, love it so much they don’t want to leave. Can these things be done, though, without freezing out unpolished students who might someday turn into power brokers like hotel magnate Rick Kelleher? Subbaswamy and Kelleher stress that there are more pathways available now than in Kelleher’s college days: three other undergraduate UMass campuses, nine four-year state colleges, and 15 state community colleges (from which students can transfer). The work goes on. Subbaswamy’s relentless pursuit of improvement has a cost, his wife, Mala, laments. “He doesn’t put limits on his time.” He is not often home, and even when he is, he is so focused on UMass that he will pace the floor, trying to work through whatever hurdles may be in his way. She says his hyperfocus can be hazardous. He suffered facial injuries from two serious falls in the last few years, when he was so deep in thought that he didn’t notice where he was going. Yet in the end, she says, he always manages to find the solution. A very private person, she says she is eager to return to Kentucky after her husband retires. They have a home near the University of Kentucky, and their daughter, a 29-year-old internist and pediatrician, also lives there. Their 23-year-old son is working on his doctorate in computer science at Johns Hopkins. Subbaswamy, who will turn 68 in March, says he has no interest in climbing the ladder any further in higher ed, for example to the presidency of a college system. He mentioned to me once in passing that he might be interested in trying to influence national public policy by running for office. Over dinner with him and Mala at the chancellor’s house, I ask him more about that. “Don’t even put that idea in his head!” she says, furiously waving her hand. I drop the matter. But I’ve spent enough time with him by now to know that he probably won’t give up on it. After he’s led UMass comfortably into the top 20, he’ll probably start pacing the living room, figuring out his next act. It’s a pretty good bet that someday a staffer will need to fit “Mr. Subbaswamy” on a congressional nameplate.